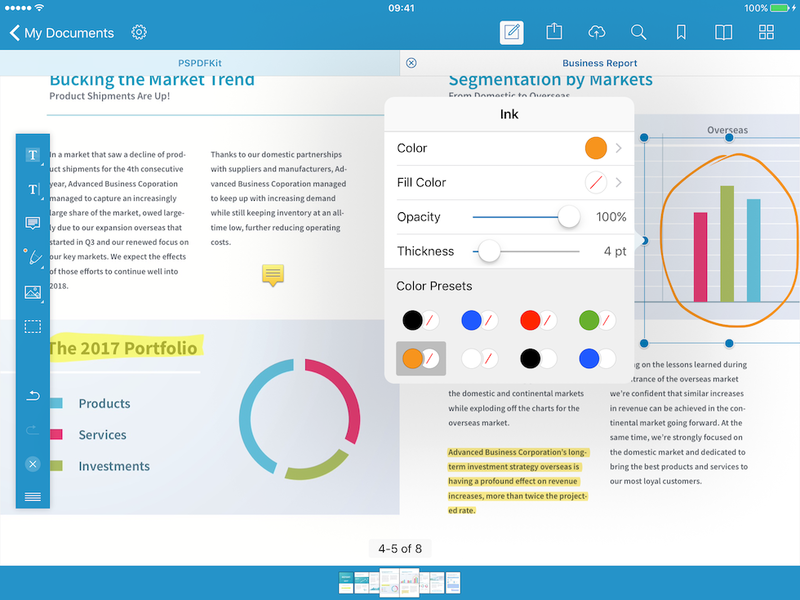 With PDF Viewer for iOS and Android, you get annotations, forms, signatures, document editing and sharing, all in one free package. 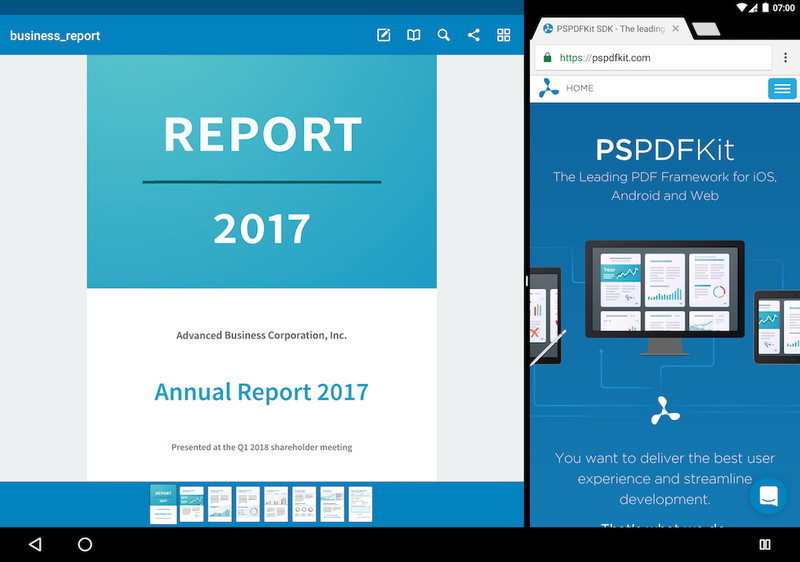 Whether you're working alone or collaborating with a team, PDF Viewer maximizes productivity, allowing you to easily read, review, annotate, and search PDFs on your mobile device. 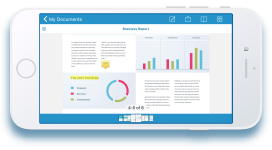 Your documents should always be at your fingertips. 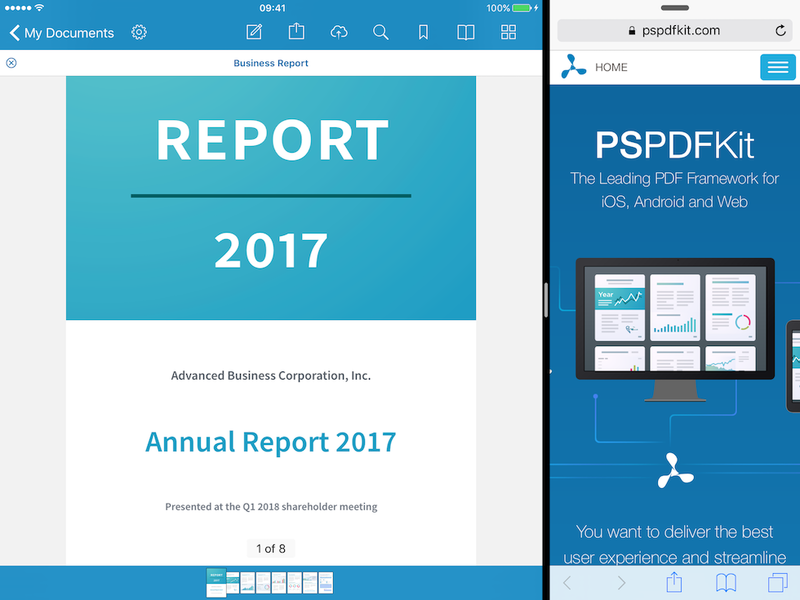 No matter if you're prepping on the way to your next meeting, reviewing a proposal or reading over the latest offer, our PDF Viewer allows you to view PDFs, when it's convenient for you. 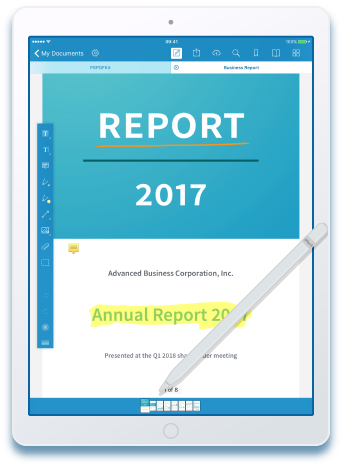 Annotating your PDF documents by highlighting text, adding notes, freehand ink drawings, images and more is simple and easy with PDF Viewer. 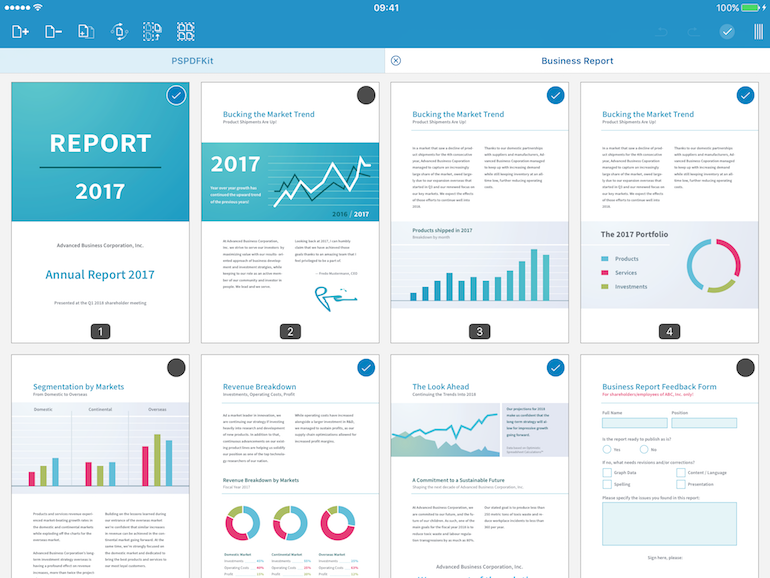 When you've finished, easily share or print those documents too. 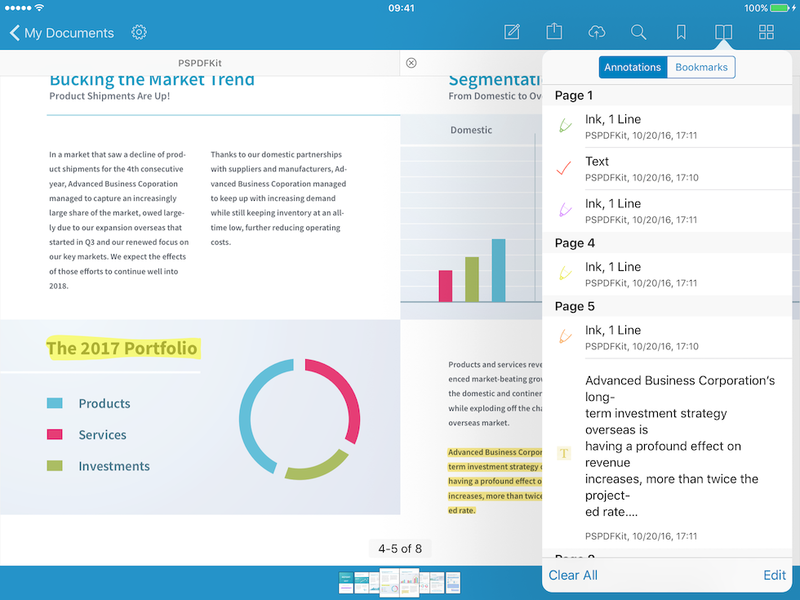 Highlight text, ink drawing, adding images and notes, are just some of the many annotations types available. 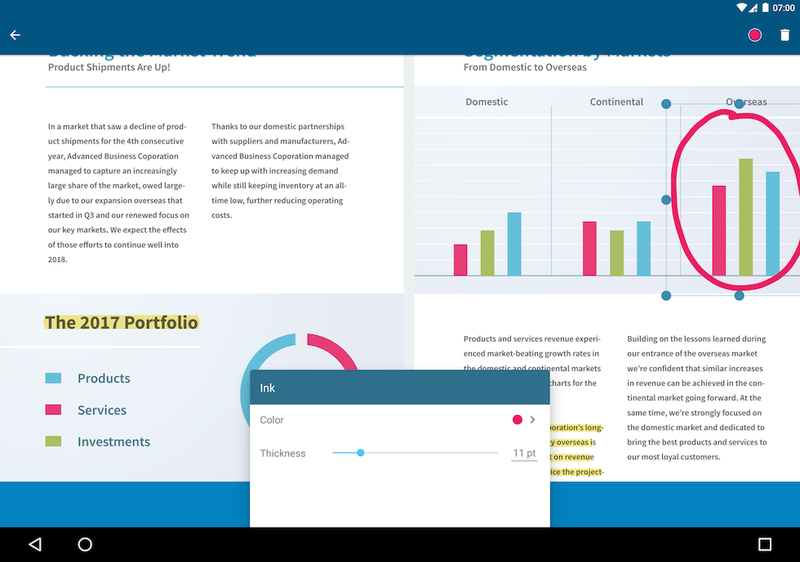 Using the annotation inspector, you can quickly adjust the style of your annotations to fit your needs. 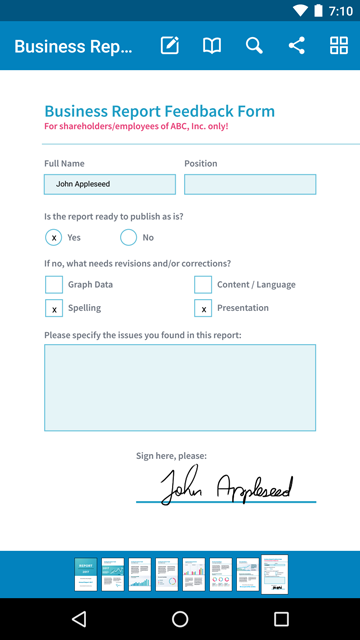 A list of all the annotations made makes it easy to see which parts of the document are being worked on or needs reviewing. 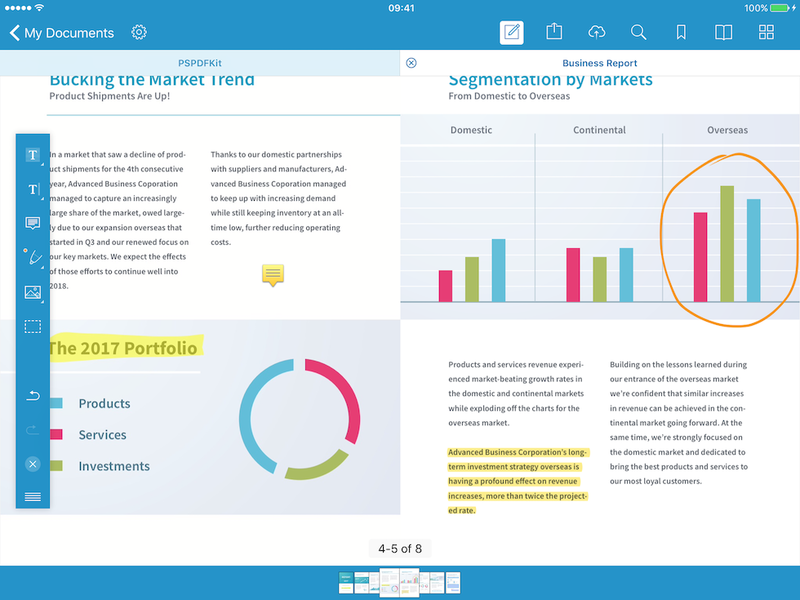 Split-view on iPad allows you to easily review your PDF while working in other apps. 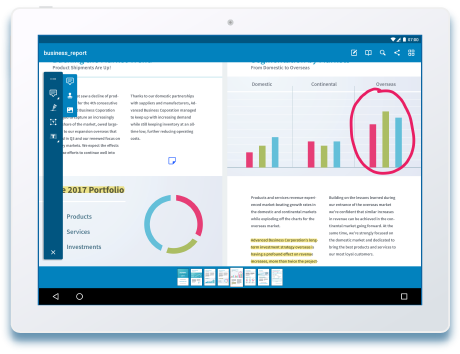 Window mode and Chromebook support make it easier to work in multiple apps on multiple documents. 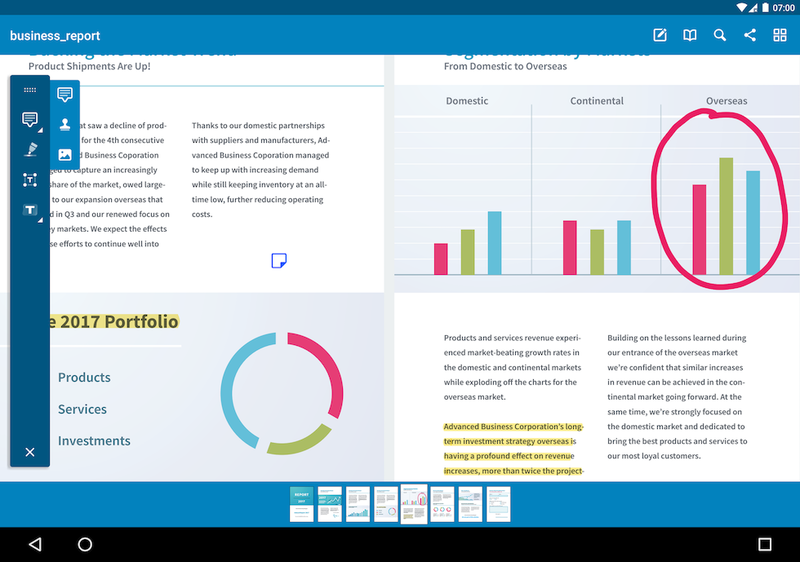 The Document Editor allows you to easily add new pages, duplicate existing ones, rotate them, delete unnecessary ones or even create a new document from a selection of pages out of another document. 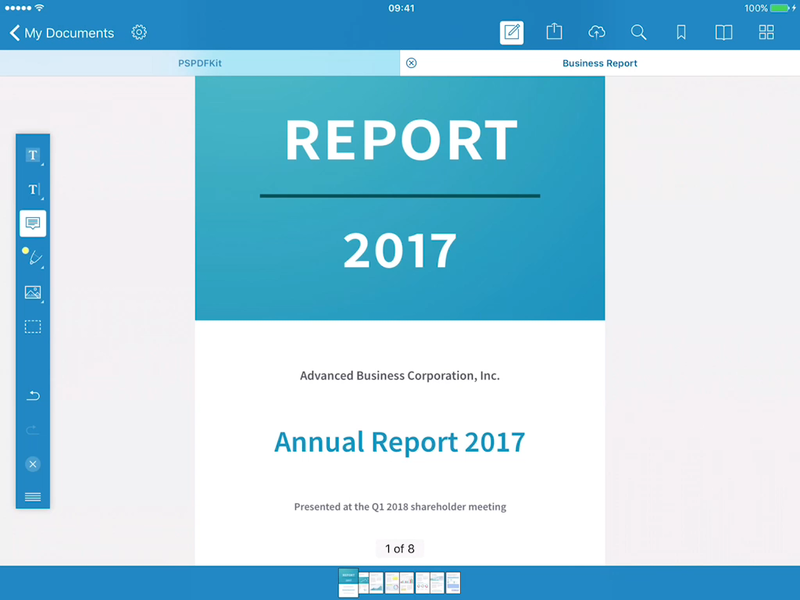 With PDF Viewer you can sign documents and forms anywhere, using your finger or stylus, such as the Apple Pencil. 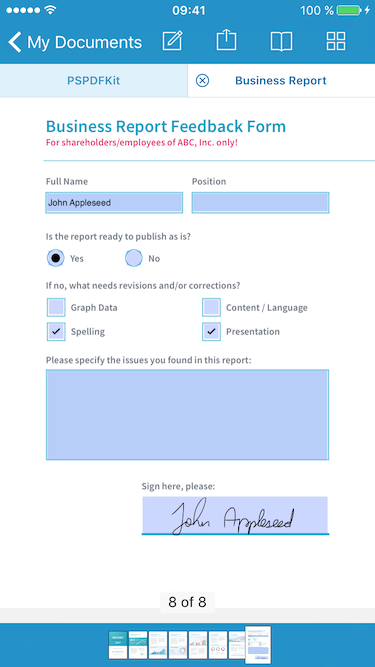 Resize and move your signature as needed on the document. When finished, flatten and save the document to prevent any changes. 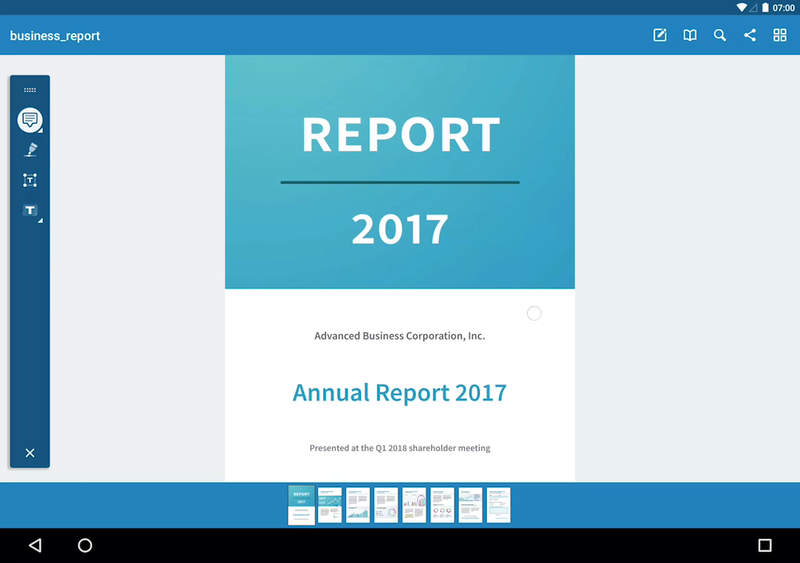 In order to provide the best experience with PDF, we're constantly working on adding the most useful system-specific features to PDF Viewer. 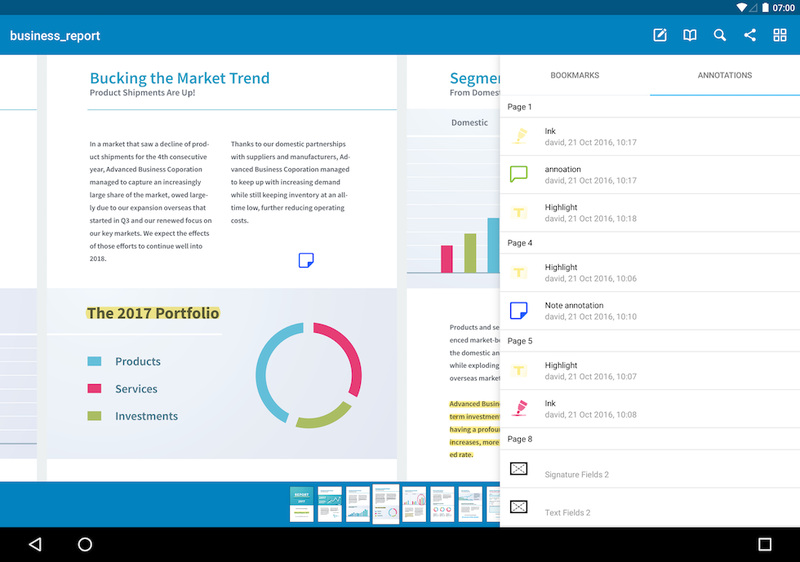 To us, cross-platform means putting in more effort, not less. 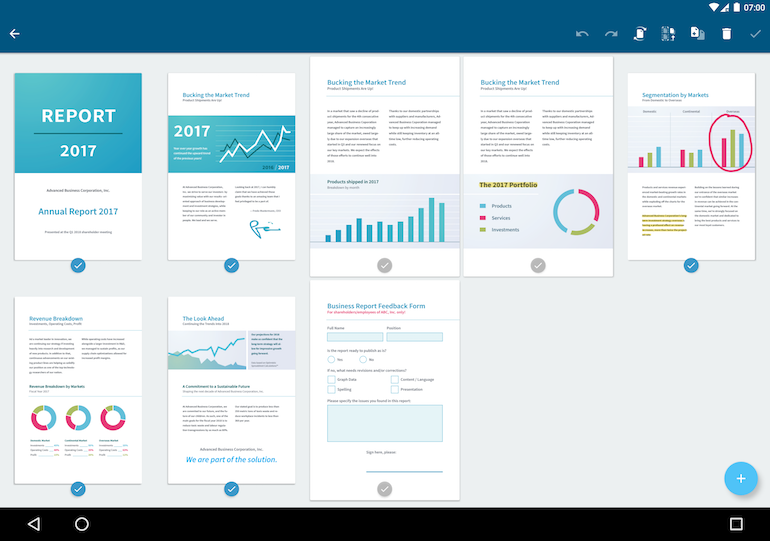 Want to know more about the technology behind PDF Viewer, and how you can make use of it?